Let's get to GOAL! BACK the JestGreen 2019 x 2019 Initiative and we can have the first prototype of the #JGMK System built 2019. To BACK JestGreen press BUILD IT. 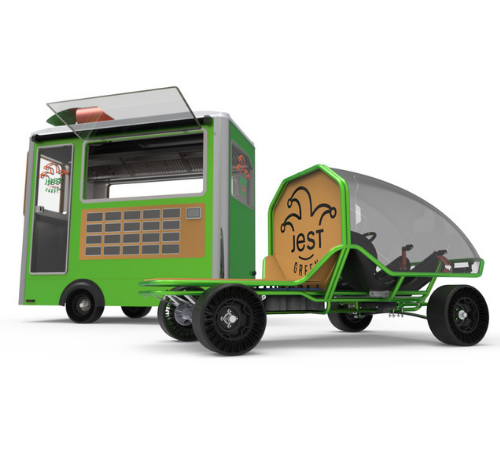 The JestGreen Mobile Kiosk™ is a renewable energy powered mobile vending system that uses wind, solar, human power & produces zero 0% emissions. This clean energy system allows it to run silently, operate cleanly & efficiently. 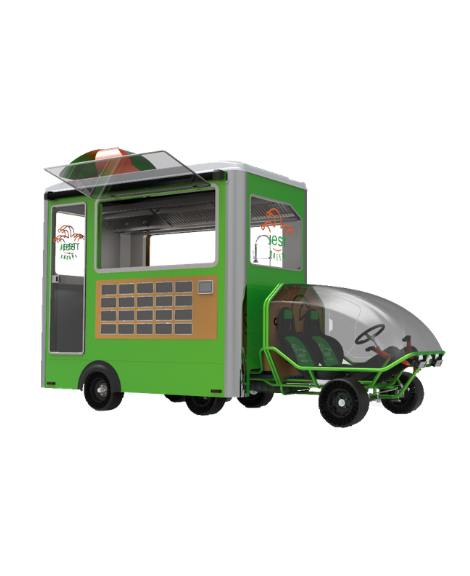 The sleek design, smart technology and modular restaurant-quality kitchens energize the opportunities available in modern mobile vending. What we are creating at JestGreen. If you like it. Back it. Professional mobile equipment powered by a renewable energy system, on-board battery bank & smart digital display to monitor it all. ​Eco style. Wind, Solar & Human powered. With the JestGreen Suite™ gain access to our mobile management system and network of business resources. want to be served by One. Either way it's Jest for you.